2 Papers accepted for the conference Computer Muisc Multidisciplinary Research 2013 : Sound, Music & Motion. E. O. Boyer, Q. Pyanet, S. Hanneton and F. Bevilacqua, “Guiding Motion using a Sound Target“. 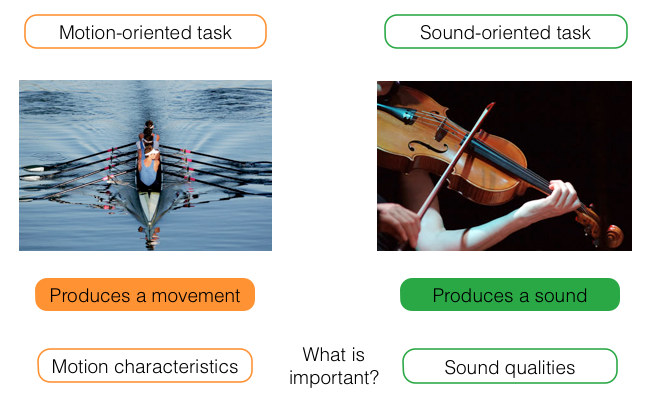 The first results of a preliminary study introducing the notion of sound-oriented task to study sensorimotor learning will be presented. This entry was posted in general, meeting, music on October 20, 2013 by Eric Boyer.